Have you ever asked yourself, “How can I sell my house fast in Charleston, SC?” Or maybe you are simply looking for a company that buys houses for cash in Charleston, South Carolina? Then read on. Houses take a long time to sell, and along with the real estate agent fees, it can be expensive too. Here at Barrera Investments, a company that buys houses for cash, we will buy your house so you get rid of the sweat and the exorbitant fees. We will buy your house on an as-is, where-is basis – yes, we will buy your house in its present condition! We make the necessary repairs so that’s less stress for you. When you sell with us, you don’t pay realtor fees and commissions too! If you are from Charleston in South Carolina – or actually anywhere else in the state and you are looking for an answer on the “how to sell my house fast” question, then check out how we buy houses here. 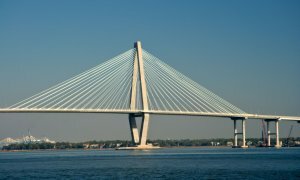 Regardless of the reason for wanting to sell your house fast, we buy homes in Charleston, South Carolina – fast!